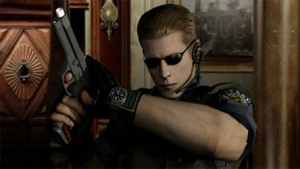 Capcom Claim That Albert Wesker Is Gone For Good. When asked at a Comic-Con 2009 panel about the possibility of a Wesker return, producer Masachika Kawata claimed that the pantomime villain's days are over. "Even if you want Albert Wesker to come back there is no chance of that happening," Kawata told the audience. We're going to just outright say that we don't believe him. If anyone can survive falling into a volcano and then being hit dead on the head with two rocket launcher rounds, Wesker can.